Join us this week as we celebrate our 8th year anniversary and welcome Vintage Pop music singer songwriter, Liv Margaret. Liv is an American born singer songwriter with a unique ability to capture the attention of every generation who hears her soulful sound. Writing since the age of 12, her music has blossomed into a scrapbook of personal experiences which create melodic memories connecting all who listen. Fresh out of the famous Ocean Way studios in Nashville, Mr. Good Boy is the first single in a compilation of new music being released by Liv Margaret. She has grown artistically both as a songwriter and producer. Liv has managed to capture her vintage sound with these catchy melodies immediately causing the listener to be drawn to an era of simplicity with toe tapping grooves. Liv is excited to share her new creations and looks forward to performing them publicly in the future! Liv is currently residing in Nashville where she continues to work on her craft performing live shows and writing music. Liv also enjoys performing various benefits for veterans and donating a portion of her earnings to several different veteran groups. We will talk to Liv about her upcoming schedule, get a behind the scenes look at her music, feature her latest songs, and ask her to share her message for the troops. 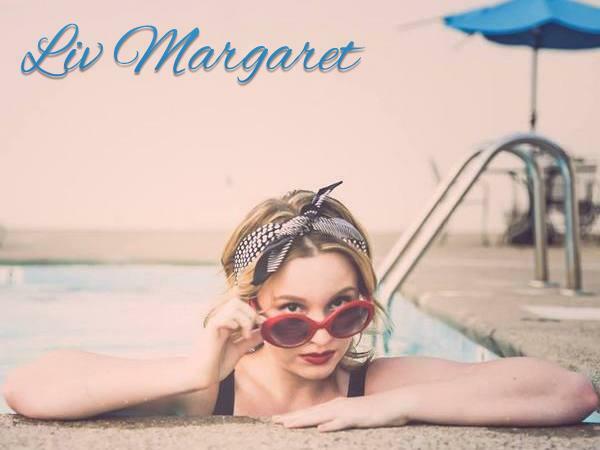 Please be sure to visit Liv Margaret at http://www.livmargaret.com/ and spread the word. Fans are welcome to call in and speak live with Liv during the show (718) 766-4193. And as always we will give shout outs to our deployed military listeners. Our message to the troops: WE do what we do, because YOU do what you do.